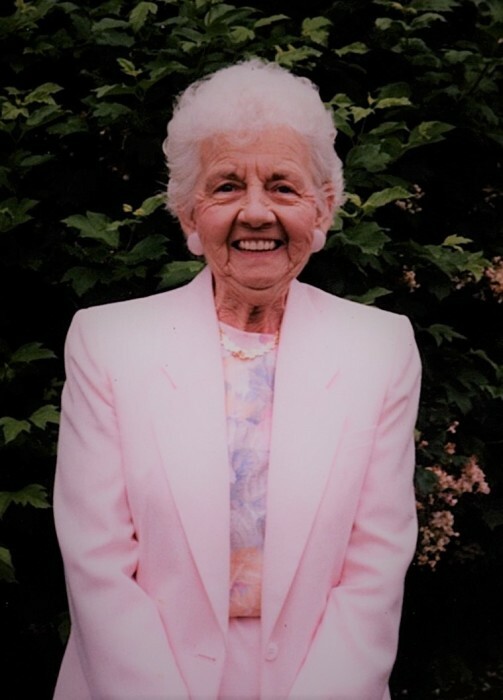 Houghton --- Florence M. Teuber of 9651 Route 19 went home to be with her Lord and Savior Jesus Christ on Sunday, March 17, 2019 in her home. She was born on April 15, 1922 in Natural Bridge, a daughter of the late Leonard and Helen Underhill Prittie. She married Raymond A. Teuber who predeceased her on November 27, 1999. Florence was a graduate of W. Carthage High School and afterward she married H. Harvey and had a son, Leonard Harvey. She then moved to Long Island and acquired a position as secretary at Pilgrim State Hospital in Brentwood. She eventually remarried, this time to an honored soldier returning from World War II named Raymond Teuber in 1948. They had a daughter, Terry, in 1950. Throughout the years Florence’s outreach was extended to many by her gifts of time and service. She came to know Jesus as her Savior and was baptized on Easter Sunday in 1952. She served in several capacities at Northport Baptist Church and later in the library at Houghton Wesleyan Church. She loved to play the piano and share her yummy apple pies! Surviving is a son, Leonard Harvey, a daughter, Terry Ayers, several grandchildren and great-grandchildren, two sisters, Carol (Dan) Herzig, Jane (Gil) Daby and several nieces and nephews. In addition to her husband and parents she was predeceased by two brothers, Charles Prittie, Richard Prittie and three sisters, Evangeline Rorke, Francis Mannellino and Ann Gaffney. Family and friends may gather from 10:00 to 11:00 am on Friday, March 22, 2019 in the Houghton Wesleyan Church where a funeral service will follow at 11:00 am. Rev. Dr. Wesley Oden will officiate. Burial will be in Mt. Pleasant Cemetery, Houghton.